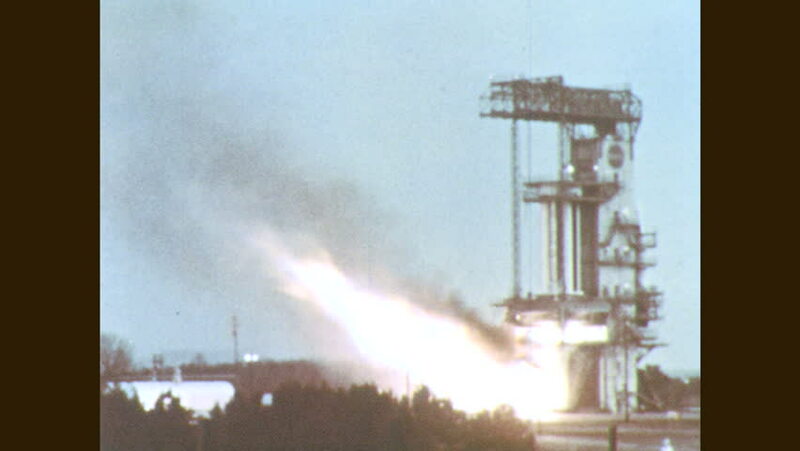 1960s: Rocket booster ignites on launch pad. Rocket booster engine fires. hd00:241960s: Rocket booster engine fires from launch pad. Men work on rocket booster. Men inspect rocket booster tank. Men inspect rocket booster parts. hd00:13A smoke stack releasing a lot of white smoke.